Oral cancer screening is performed by your dentist and is very important. Your dentist can see the early signs of mouth cancer or other signs of systemic diseases. Some diseases, even though they are present elsewhere in the body, can be noticed and dectected early in the mouth. One such example is the presence of AIDS. Why do I need to reline or make a new denture? After one loses some or all of their teeth, the bone in the area is no longer under "function". When this happens, the bone begins to atrophy (become smaller). This process always occurring so the denture you had made will not fit you as well in the future. One should always come in for regular cleanings as this is one way in which you can actively keep gum disease under control in your mouth. As well, at your regular cleaning appointment, your dentist will check for any signs of oral cancer, any signs of tooth decay, the state of gum disease in your mouth and any other concerns you might have. Under the supervision of a dentist, it is perfectly safe to whiten teeth. Individuals who definitely should not whiten their teeth are pregnant women or women who are breast feeding. When should I bring my children in for a check-up? One should begin bringing their children in for a check-up as early as age 3. 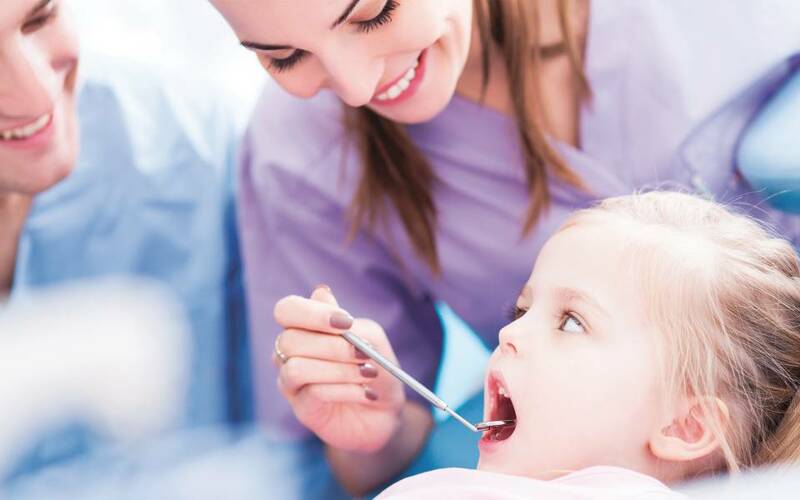 The young child can become aquainted with their dentist and develop a trusting relationship. Why should I save my tooth instead of extracting it? One should generally avoid extracting their permanent teeth. If a tooth is extracted, the teeth in front, behind and above or below will encroach upon the space. The spacing of the mouth will change. As well, the tongue may grow into the space of the missing teeth and the jaw could be affected. This could lead to pain in the joints. Why do teeth that have had "root canals" need crowns? Not all teeth that have had "root canals" need crowns. If a crown is indicated, it is generally because the restoration (filling) on the tooth is too large and it will probably fracture under normal function. Also, after a tooth has had a root canal, it becomes more brittle because there is no longer a blood supply to the tooth. This brittle nature could predispose the tooth to fracture. A crown would help to alleviate this problem. How old should I be before I have braces? One should be assessed for orthodontics (braces) as early as age 7. Sometimes, early interceptive therapy can eliminate or reduce the amount of orthodontics required in the future. The two main differences between white and silver fillings are their composition and their esthetics. There is a very small segment of the population that has an authentic allergy to mercury. For this reason, silver fillings would be contraindicated as mercury is found in them. White fillings are made of a composite resin. The second difference is esthetics. The white fillings are tooth coloured and as such, are more pleasing to the eye than the silver fillings. A dental implant is an artificial tooth root placed into your jaw to hold a replacement tooth or bridge in place. Dental implants are also more conservative and tooth-saving than traditional bridgework, since implants do not rely on neighboring teeth for support. What are the most effective teeth whitening techniques? Porcelain laminates are the most effective way to whiten your teeth. Porcelain laminate veneers create a stain resistant white but natural looking smile. They are the least invasive type of dental restoration. We now have the ability to customize your smile utilizing the very latest in cutting edge technology. The porcelain we use can depict the natural anatomy of your teeth. We are now able to mimic the natural anatomy of your teeth through the use of many color gradations along with our unique anatomical carvings. Your smile can be whiter and brighter in as little as five days. However, if porcelain laminates are not an option for you, then Laser Teeth Whitening is the next best technique. Laser teeth whitening products contain the highest concentration of hydrogen peroxide or carbamide peroxide at 35%. The laser also provides the highest light intensity available. Since the procedure is done at chairside, we are able to concentrate in those areas of your mouth where the type and location of discoloration is worse. Laser technology allows us to whiten your teeth with amazing results in just one hour! What are the most effective at-home teeth whitening techniques? We recommend using products that contain 10%, 16%, or 22% hydrogen peroxide or carbamide peroxide. We sell at-home bleaching kits at the office. Be careful of whitening toothpastes since they usually contain abrasive material which can wear down your enamel and expose dentin. Whitening toothpastes can help remove stain however they won't actually whiten your teeth. What effective measures can someone take to prevent teeth discolouration? Eat crunchy fruits and vegetables. They are abrasive and in a sense scrub your teeth. Brush your teeth immediately after eating potentially staining foods. If brushing is not possible, try to rinse your mouth thoroughly. Use a straw when drinking high stain potential beverages. The straw will allow the liquid to bypass your front teeth completely. Do NOT brush too strenuously. Over time you will expose the yellowish/bluish dentin which is underneath your enamel. Do many people request to have their teeth whitened? Approximately ninety to ninety-five percent of all our patients are unhappy with the color of their teeth. Our challenge is to educate people on the importance of naturally looking white teeth. We truly believe in whitening teeth to their fullest, however, the whitening should be a natural white and not a "plastic" appearance. In addition to aging, many things especially what we eat and drink affect tooth colour. Culprits include berries, red wine, tea, coffee, cranberry juice, soy sauce and soda pop.